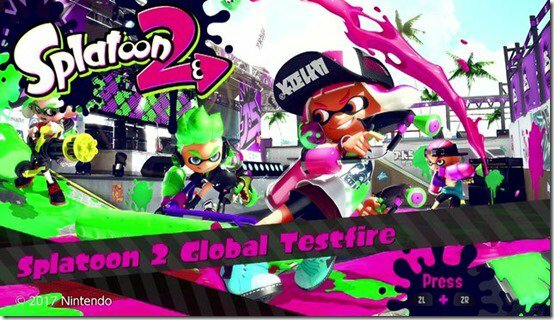 There’s one less reason to complain about the Nintendo Switch coming with limited launch titles, and it’s called Splatoon 2 Testfire. The global multiplayer online game can be downloaded right now, but obviously it won’t work until official launch time on March 24 at 12pm ET. The game can be downloaded from the Japanese eShop from anywhere in the world because Nintendo Switch is a region-free console. That’s a significant move for a company that previously restricted title launches and game availability to specific users based on where they lived. It’s possible that Nintendo is releasing the game ahead of schedule so there’s less of a load on their servers when the games begin. The game is 408MB, so that could be a possible reason. Here’s the game schedule, as announced by Nintendo. The full version of the game is coming in Summer 2017, and multiplayer is free for now, but only until Autumn, when Nintendo intends to launch the paid online multiplayer service. 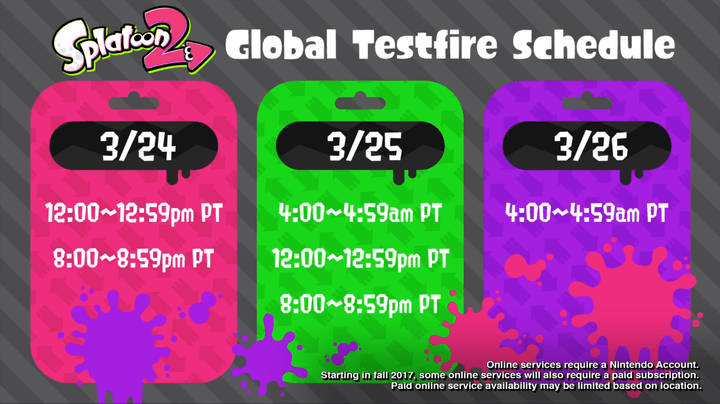 Splatoon 2 Global Testfire should be a good test of how the servers hold up, depending on how many people are playing each scheduled game.